In my dream, we drove the car down into a valley. The road went through a tunnel. 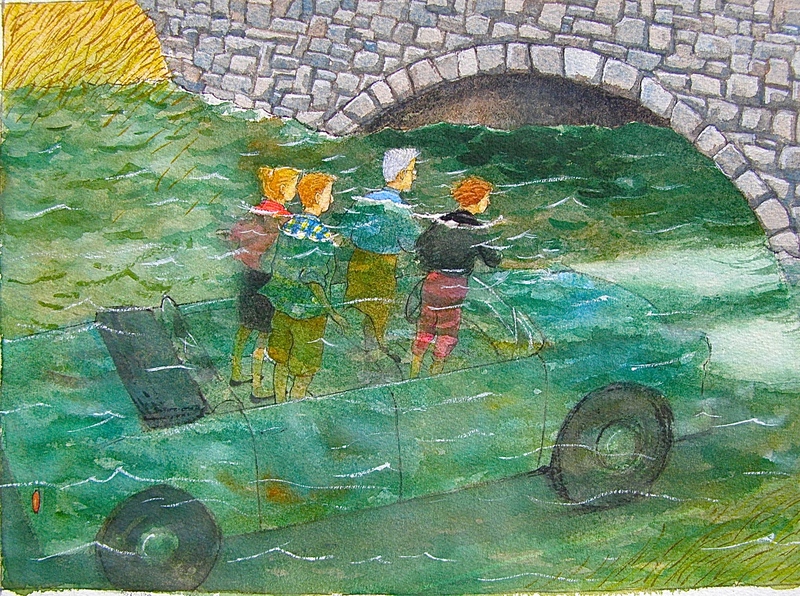 The valley was flooded, and as the car drove into the tunnel, we had to stand up to keep our heads above the water. Fortunately, it was a convertible, so we could do this. Fortunately, the car kept running. Fortunately, we didn’t hit our heads on the roof of the tunnel. Fortunately, it was a short tunnel, and soon enough the road took us back uphill to dry land. When I thought about this dream the next day, I decided that it was an encouraging dream. My mind was trying to tell me that we would be able to keep our heads above water. Thanks, dream! And here’s another image with water. And driving, now that I think about it. We were driving through Illinois in late March. 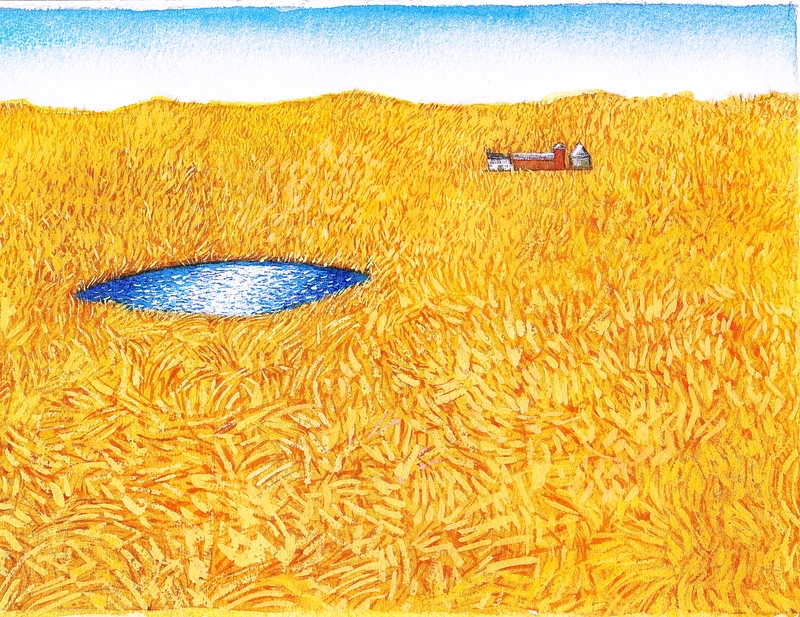 Spring was late, and we drove between fields that were gold, brown, bumpy, and stretched as far as the eye could see. Now and then, little clusters of buildings: house, barn, grain elevator, silo. And, now and then, a little pond, a sparkling ellipse reflecting the blue sky. Like a jewel. A treat for the eye. Have you ever tried to draw one of your dreams?